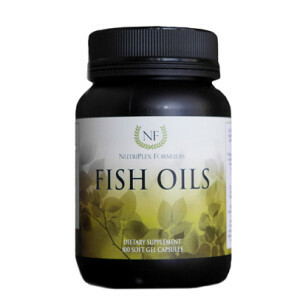 Fish Oils have been used traditionally for support of skin cells, brain function, joint problems, and various modes of healing. Excellent for skin, hormonal health, brain, mood, nerves, emotional well-being, wounds & more! Pure & Pristine, Ultra-Purified Cold-water Deep-Sea Fish Oil from Anchovy, Sardine and Mackerel and Natural Citrus Flavoring. Inactive ingredients: Rosemary Extract, Ascorbyl Palmitate, Ascorbic Acid, Soy Lecithin and D-Alpha Tocopherol. In addition to the unique properties, synergists and cofactors of this food, each serving provides the following nutrients contained within the above food-nutrient blend (not as isolates): 220mg of DHA and 330mg of EPA in a two-capsule serving. 2 soft gels daily, or as directed by a healthcare practitioner. Fish Oils are excellent sources of essential fatty acids. Omega-3 and Omega-6 fatty acids constitute the two families of essential fatty acids. Essential fatty acids are considered “essential” because they are needed throughout the human life cycle, cannot be produced in the human body, and therefore must be provided through the diet. Hundreds of studies suggest that omega-3s may provide benefits to a wide range of diseases. Fish oils help to address inflammation, and when taken by pregnant women, it supports brain function in fetuses.